Not all of the below designs are available in all areas. 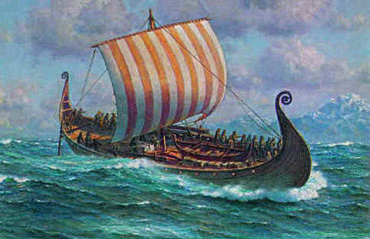 The Koch and the Longship are largely available in and around the Hills. 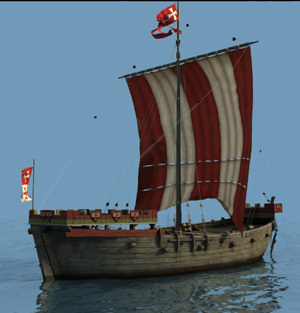 The Carrack and Caravel are available in Aberdeen, Moniwid, Laniveer, and the Finger Isles. All areas have access to the magnetic compass, but only Aberdeen, Moniwid, Laniveer, and the Finger Isles have access to the dry compass. 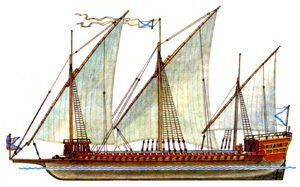 lateen-rigged on the mizzenmast. 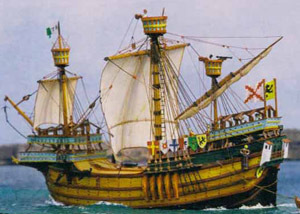 These large ships are stable on the high seas and very forward in design. 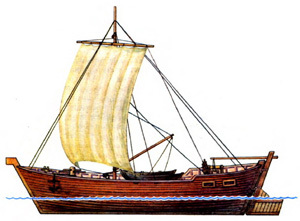 Caravel - This is a smaller, lighter ship, but no less forward in its design. 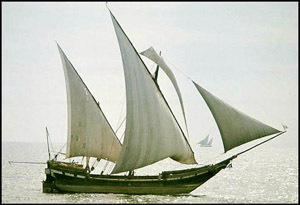 It has 2 to 3 masts with lateen sails. These ships are faster than the larger Carrack. through water covered in ice. 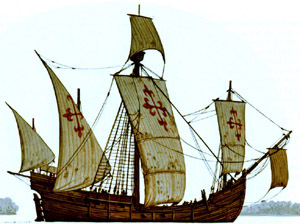 the entire length of the ship and usually sporting a single mast. have both closed or open hull designs and can be rowed for short distances for greater speed. ships, transport vessels, or cargo vessels. are usually used as merchant vessels and can carry large, heavy loads due to their hull design. 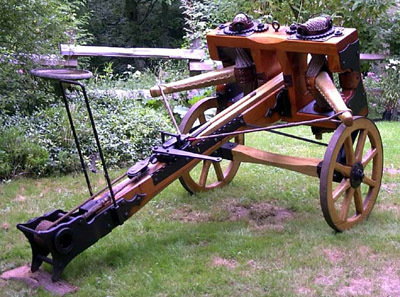 Ballista - Can be mounted on deck, fires a large projectile over a long distance. 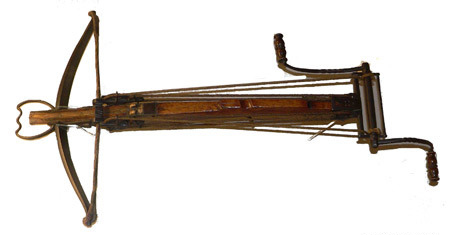 Arbalest - A large version of a cross bow, that can still be hand held. These are powerful weapons that can be moved aboard the ship. A skilled crossbowmen can fire 2 bolts a minute with this weapon. A cruder version of simply lighting pitch, while not as violently volatile, is more commonly known in Mobrin for arrows, and used for attacking or defending castles and is not considered witch craft. Grappling Hook - A three or four pronged hook attached to a rope. 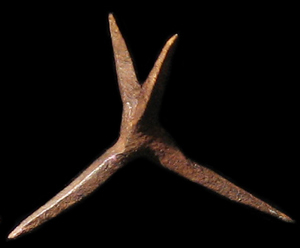 Caltrops - Metal weapon shaped with 4 metal points. When thrown one point sticks up, designed to hobble sailors going barefoot, or even penetrate soles of boots. Note - The spyglass does not exist, and neither does gunpowder. So sayeth the staff.